The Pennsylvania chapter of the Communication Alliance to Network Thoroughbred Ex-Racehorses (CANTER) recently awarded $500 scholarships to three off-track Thoroughbred owners in the Mid-Atlantic region to further promote their riding and training education. The awarded funds for the Becky Julian Scholarship are to be used for training purposes, including riding lessons, clinics, camps, or other equine-related seminars. CANTER Pennsylvania received more than 50 applicants, but eventually chose three recipients: Lottie Crawford and Get It in Ink (Invisible Ink); Susan McRae and Mo's Secret Heart (Mo Mon); and Amy Parsons and Karen's Valentine (Zizou). For the 501(c)(3) organization, the scholarship's purpose is twofold—to help both horses and humans. 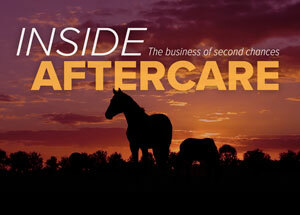 "When we look at aftercare, we want to make sure horses are going to quality, knowledgeable homes," said Sue Smith, executive director of CANTER Pennsylvania. "It's important that people either have the assistance or the experience to make the transition from a racehorse to a sporthorse. Our way of promoting education is to hopefully develop a market of riders that would be great ambassadors for taking these horses off the track and doing great things with them. "Another thing we feel strongly about is that it's important for a horse to have value," she added. "Education is probably the easiest way to add value to your horse, and hopefully that will protect them long term—if the horse has a skill, then somebody is going to want him. "Those were our two focuses: to have a knowledgeable base to take these horses off the track and hopefully that (training) will provide these horses with a great life." Smith said narrowing the list down to just three recipients was a difficult process, but she was thrilled with the pool of talented applicants. "The applicants—not just these three—were very impressive. It was a difficult challenge," she said. "These three are exceptional, but there was a whole group of riders that we wish we could have awarded." 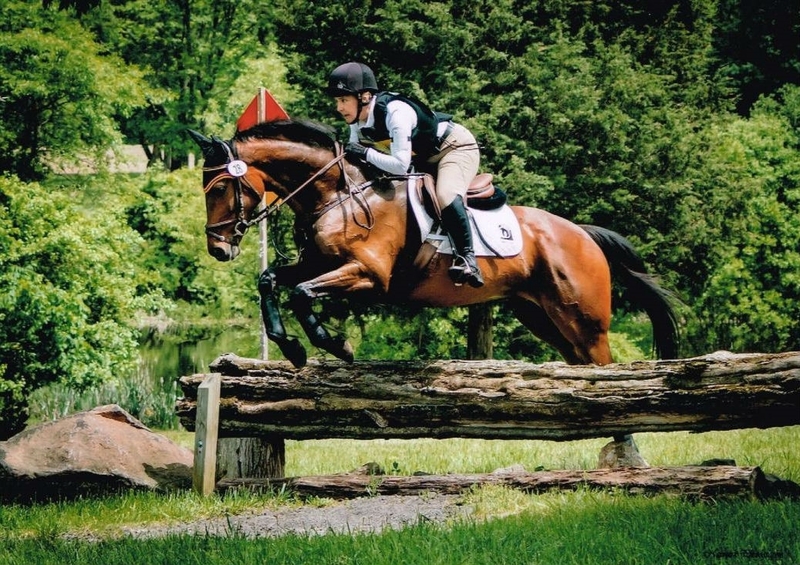 Recipient Susan McRae, an eventer from the Upper Bucks County area in Pennsylvania, feels honored to be named and plans on using the funds to boost her dressage training aboard her 10-year-old gelding, who now shows under the name Impromptu. "This scholarship in particular is a really nice way of supporting the people who are doing the retraining who may not have a big budget," McRae said. "I thought (the scholarship) was a good opportunity to enhance my ability to train the current Thoroughbred I have. Training is so expensive these days, so anything you can get to help that is appreciated," she said, adding that while her mount doesn't have a lot of eventing experience, she sees a lot of potential as he's very athletic, like most of the Thoroughbreds she's worked with. "I don't even remember when I got my first Thoroughbred, but they've always intrigued me as athletes," McRae added. "I've followed horse racing my whole life. I've been to many of the big race days and I just love them to death." In addition to financial help with training costs, McRae sees being a recipient as the chance to be an ambassador for the breed. "When I read the email they sent out about the various applicants that they had, I was surprised that I was selected because it sounded like they had such a great group of people," she said. "I consider myself an ambassador for the Thoroughbreds anyway, even without this, because I've had so much good luck with them."